Where water is concerned, even a small leak in your pipes can turn catastrophic. What seems like a little trickle could suddenly turn into a burst pipe that could flood your home immediately. Your natural reaction is to call a plumber, but they may not be able to come right at that moment. You need to be prepared with some temporary measures so that you can stop or slow the leak until a professional plumber can arrive to help. Pipe Wrap – Most hardware or home improvement stores sell pipe wraps. These wraps will harden around the leaky pipe, patching the leak in the process. These are extremely versatile and can work just about anywhere. It’s smart to keep some on hand just in case. Repair Sleeve – Repair sleeves are like clamps that you put around the area of the leaky pipe or joint. They will stop the flow of water for a limited amount of time while you wait for a plumber to arrive, but do not consider this a permanent fix. The problem can get much worse if you don’t get it fixed correctly soon after the damage is done. 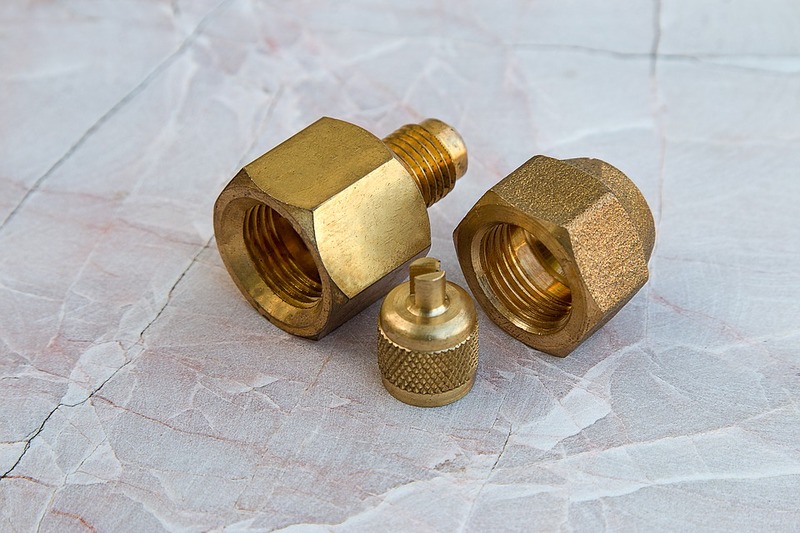 Rubber Pipe Connector – Wrapping a rubber coupling or connector around a leaky pipe and tightening it will stop a leak temporarily. Just make sure that you know how to use these connectors before starting, or you could cause more damage. Pipe Clamp – A pipe clamp is put around a leaky pipe to tighten it. These clamps will stop the flow of water, but they should not be used as a permanent fix. Epoxy Compound – Applying an epoxy compound to a leaking pipe will temporarily solve the problem. This compound is ideal for patching up cast iron pipes, but you may have to replace the leaking pipe altogether eventually. Tighter Joints – At times, you may observe water leaks in the pipe joints, so you might just try tightening the pipes. Make sure that they are threaded and not welded pipes before you do any moving; otherwise, trying to tighten them might exacerbate the problem. While tightening the joints may not permanently stop the flow, it can slow down the leak until your plumber comes. Garden Hose and Clamps – If you have a leaky or cracked pipe, you can fix it using a garden hose and a couple of clamps. Just cut a portion of the garden hose and wrap it around the crack or leak, and then use the hose clamps to hold the hose in place to stop the leak. Temporary fixes to water leaks can save you a lot of money in repair expenses. They can prevent further damages and buy you time until a professional plumber comes.